Have you heard of Educents? 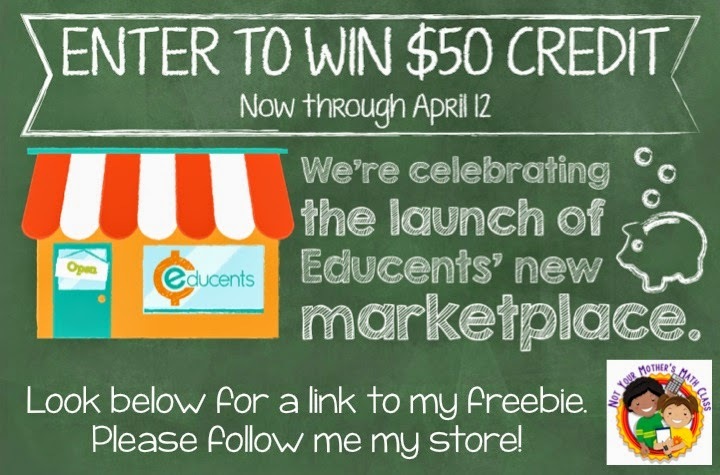 If you like like to purchase educational resources for your classroom or you are homeschooling your own children, you should definitely check it out. Over 500 storefronts are launching today. Each store has at least one freebie there are several groups of stores giving away $50 to spend. In fact you can enter a giveaway at the end of this post. Visit my Educents Store to find download my free fraction bars. They are just what every learner needs when learning to compare fractions. You can choose to print them in color or black & white. Print them blank for students to label or already labeled.